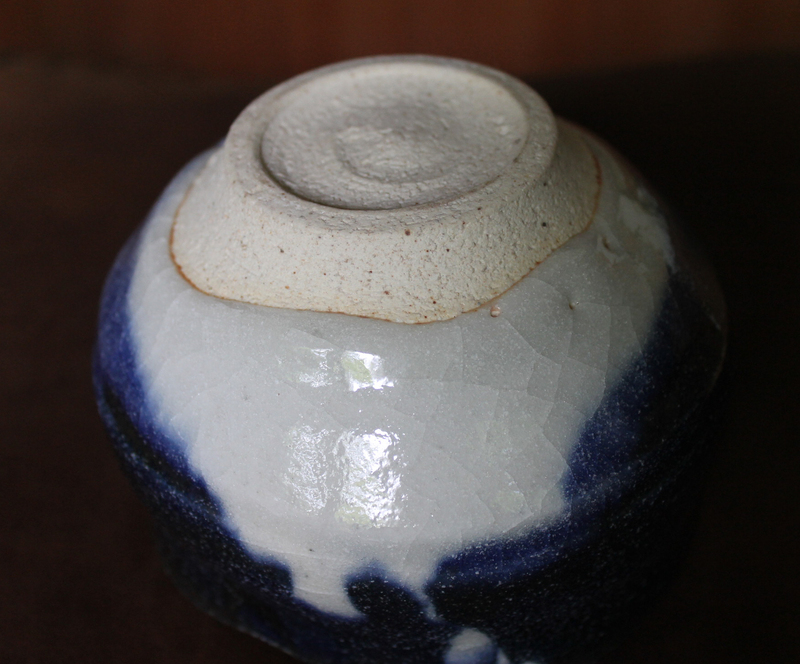 Toki City (Gifu Prefecture) Intangible Cultural Property Sakai Kobu’s (b.1936) kiln is SO small he hardly ever fires anything larger than a chawan or sake cup. 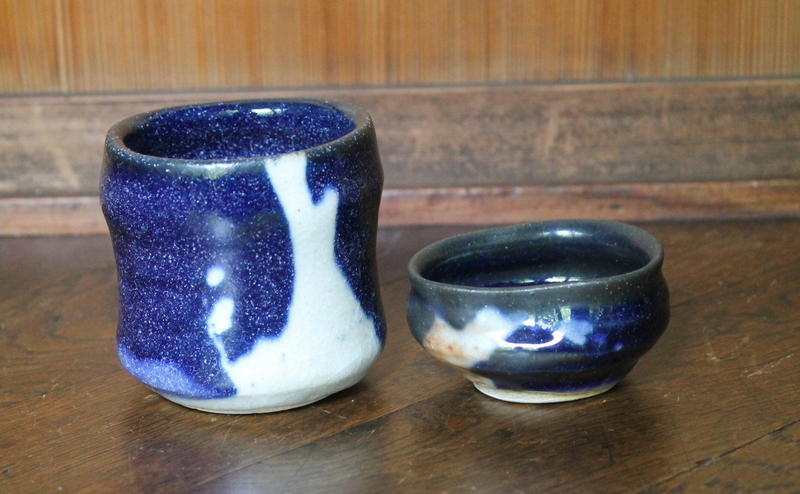 Also at 82 he’s firing only once a year and here are some recent works, plus a 2014 large–for his kiln–squat jar. 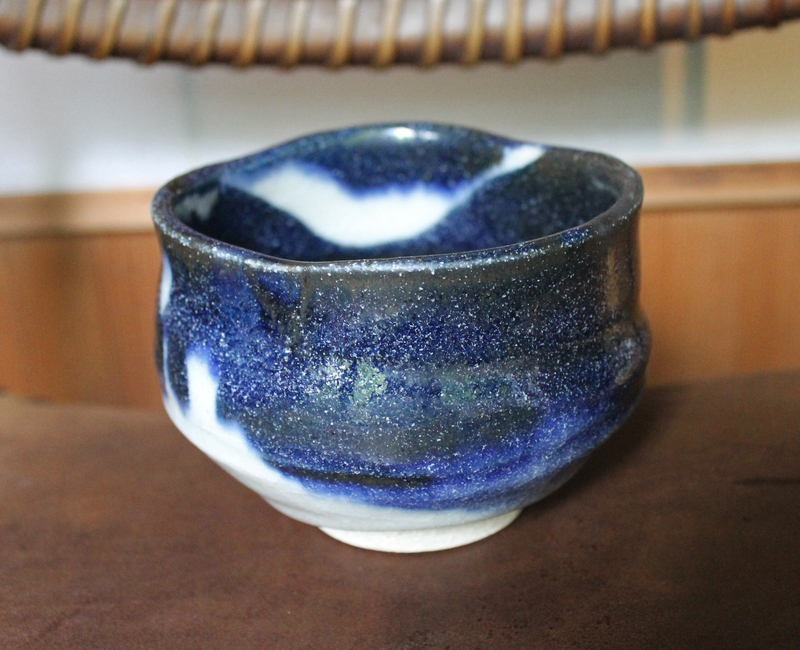 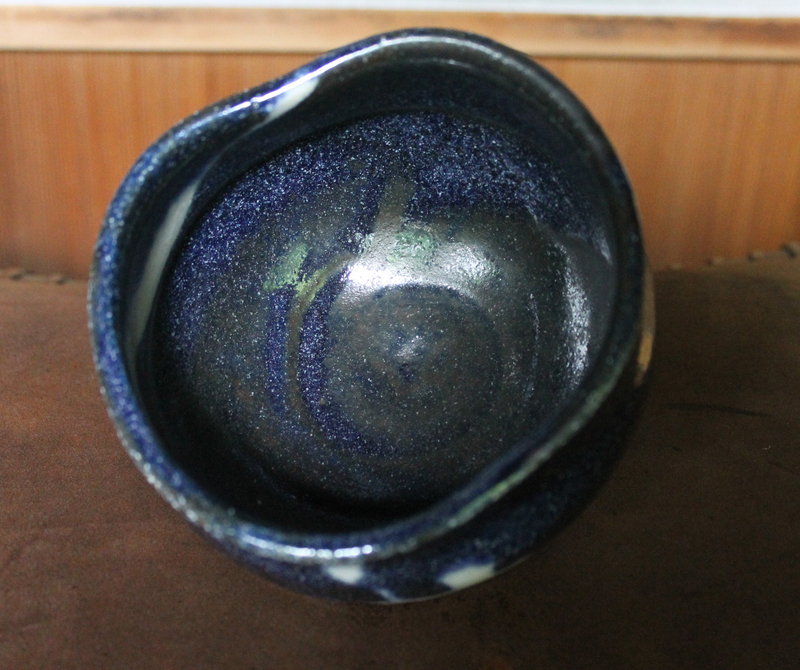 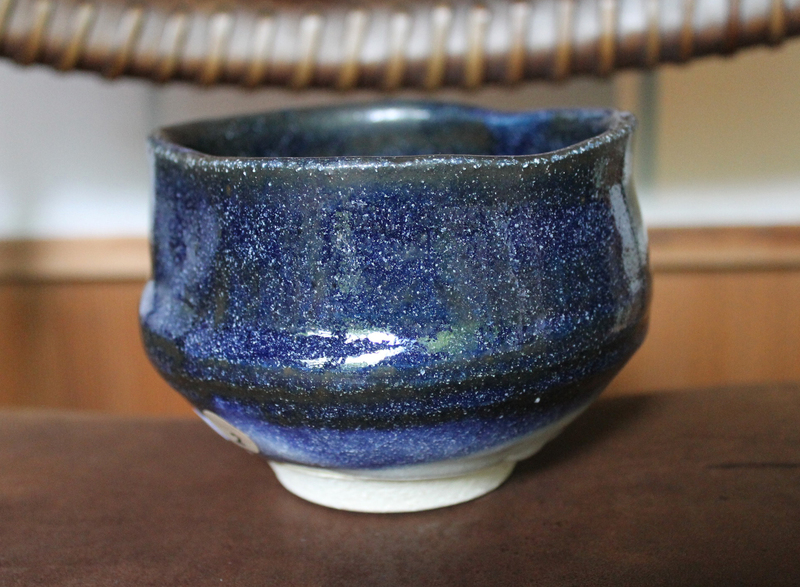 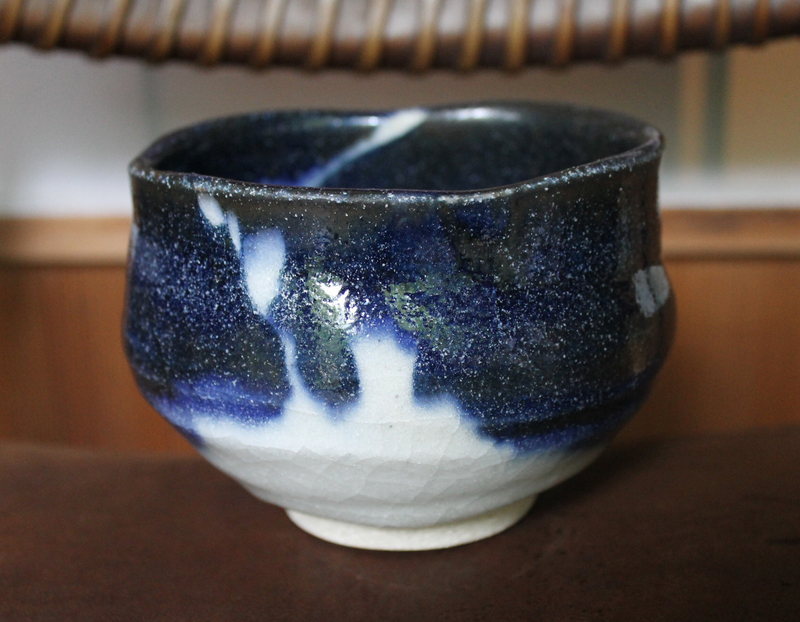 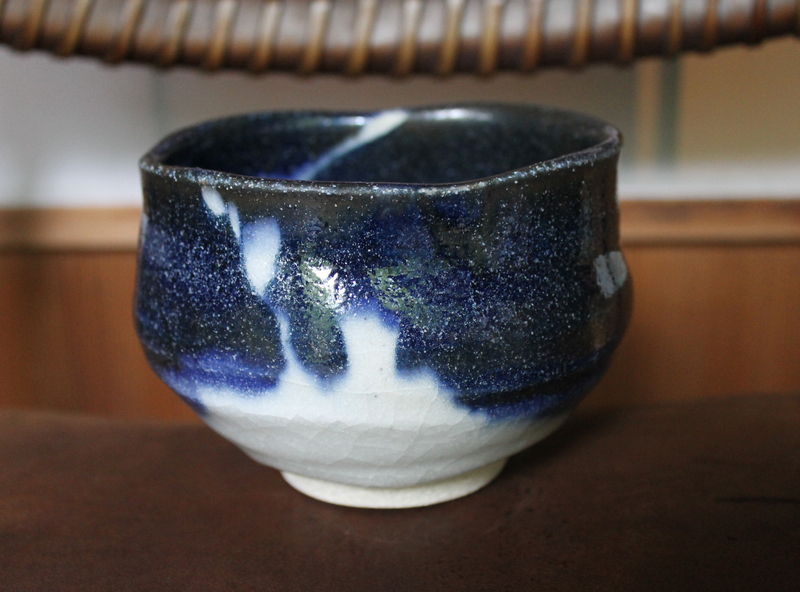 Here is a classic Sakai chawan with his deep signature blue glaze with crackled white images of branches and ‘clouds.’ In perfect condition with a signed box, 8.6cm.tallx12.5, signed on base. 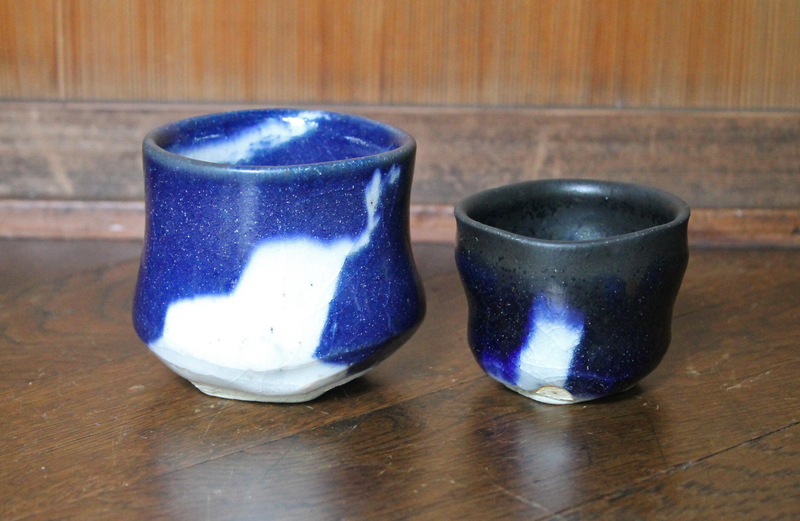 His yunomi are 30,000 yen, guinomi 45,000 yen and the jar is 280,000 yen. 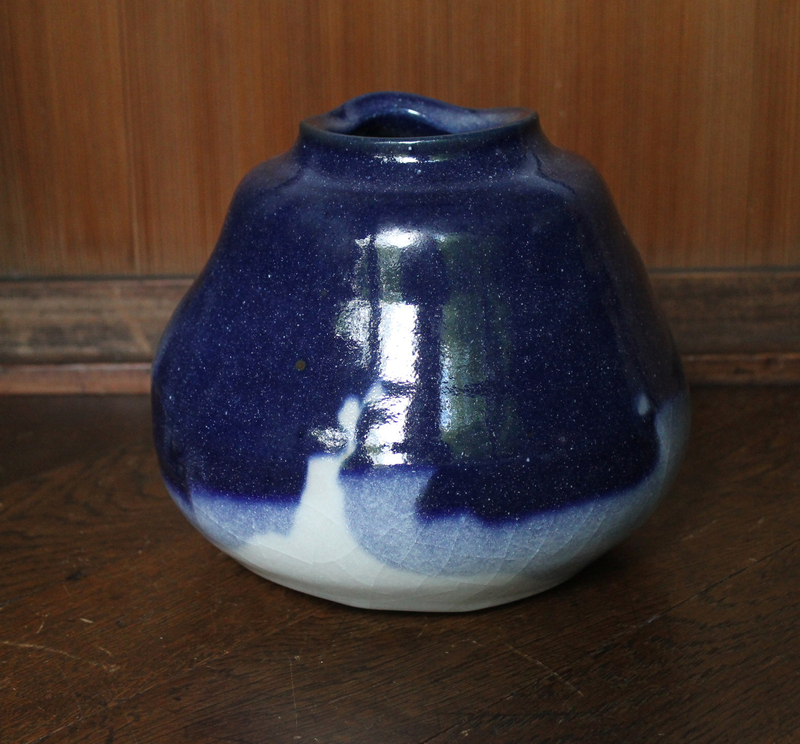 Sakai was named a Toki City Intangible Cultural Property in 2002–Toki is the birthplace of Shino in the 16th century–and he is a quiet giant for this major Japanese ceramic style.